It has been a busy time for Debbie and me, traveling to Santa Clara CA for a Drum Corps International show at Stanford Stadium in June. Our grandson, Joshua Shetland plays Baritone for the Santa Clara Vanguard Cadets. Also having fun visiting and helping with the new granddaughters! We got our passports renewed recently (June), and received the new ones (Passport Card - $30 each) quickly. The reason is for Don and Jenelle Alastra's Yuma, Arizona Mini-Rally in late February/early March 2018, one of the excursions is going to Mexico for a day trip. So, for those of you who are planning on going to this rally, please make sure your passports are current! Next month is the Branson East/West Joint Rally, and we're really looking forward to this one, as it's a long way, and lots of fun things to do along the way. We’re traveling the I-8 route, since we’re visiting relatives in San Antonio, TX along the way. We’re using I-40 for the return to Lake Pleasant, and home. 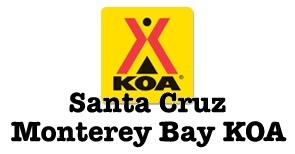 For this August newsletter, you will see final cost information about the Santa Cruz/Monterey Bay KOA rally, including van transportation for excursions. I’ll have a van on for Thursday, Nov. 9, for short trips to a local winery, Capitola Village, or the beach. On Friday, Nov. 10, we will have three vans for a trip to Monterey Bay Cannery Row. I will drive one of the vans, but we will also need two volunteer drivers for that trip. Should be a lot of fun!! It’s my privilege to welcome the following new members. Thank you so very much for joining our club, and we hope to see you at future rallies. Feel free to send us an email or call with any ideas you may have about possibly hosting a rally. We really appreciate the support!! In the coming months our Nominating Committee (Dave Shehane, Juliana Geleszinski, and Debbie Shetland) will be canvassing our membership for candidates, so we can hold an official election for Secretary at our next annual rally in November at the Santa Cruz/Monterey Bay KOA in Watsonville, CA. Please consider volunteering for this important position. Duties include taking notes at Annual Rallies and publishing said minutes of the Annual Rally Election and Board meetings. Don't forget to register for the upcoming rallies. It would be really nice to have the season close on time, so Dave can get the new Membership Directory out in a timely manner. so if you would like an additional email listed, let Dave know. 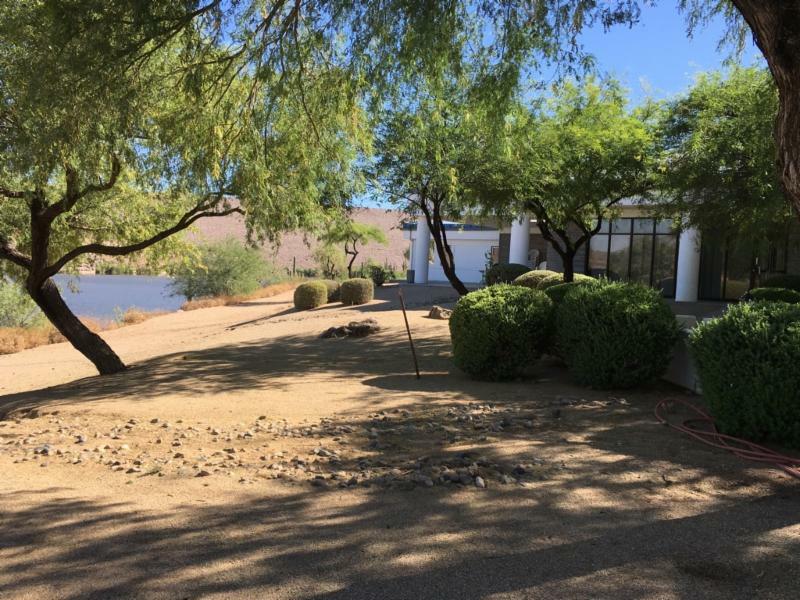 Yuma, AZ - being planned for late February or early March, 2018, hosted by Jenelle and Don Alastra. Quincy, CA - In May 16, Out May 19, 2019 - Pioneer RV Park, hosted by Bob and Debbie Shetland and Marta Newcomb-Wall. Don't miss the chance to save a bunch of money - have your site paid for during the entire rally plus a day before and a day after. You know how you're always saying, "I wish we'd have a rally closer to home"? - well, you get to pick the location; it could even be your favorite RV Park. Have your own ideas about what would be fun to do at a rally? - now's your chance! Get expenses reimbursed up to $400! - for Meet & Greet, prizes, van rental, etc. Let's Talk About Hosting A Mini Rally! I'll walk you through it and help you along the way . . . cause that's my job. Bob and I didn't make it to the Flash Rally, but the report from those who did say is was VERRRRY relaxing. 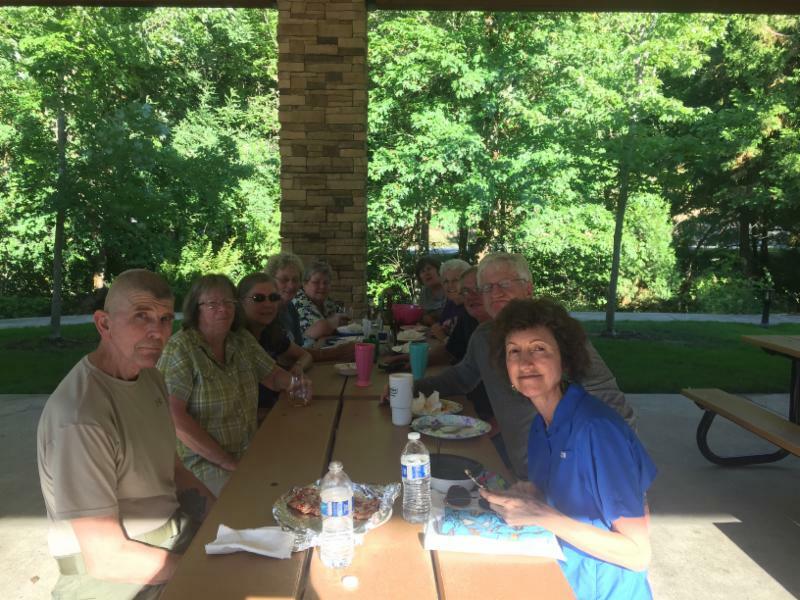 It was a fun group consisting of Trish McCrum, Margie Froess & her daughter Marguerite, Kathy Bailey & Jan Olmstead, Jerry & Kelly Scheese, Tony & Janet Schall, and Pat & Terri Runyon. They did a little gambling, ate dinner together each night, chatted each day, and just relaxed. Sounds like my kind of rally!!! RESERVATIONS & CONTACT: All inquiries and reservations should to be directed to Jim at jmweid@att.net or (816) 262-9638 to eliminate double booking or confusion. Meet and greet @5:00 Social hour, bring a snack to share. Dinner on your own, check out the Landing lots of choices. 5:00 pm. EAST meeting to follow. Stampede @ 3:30, may have to make two trips, times may vary. the same when they just set there. Sat. Sept. 30 Check out. 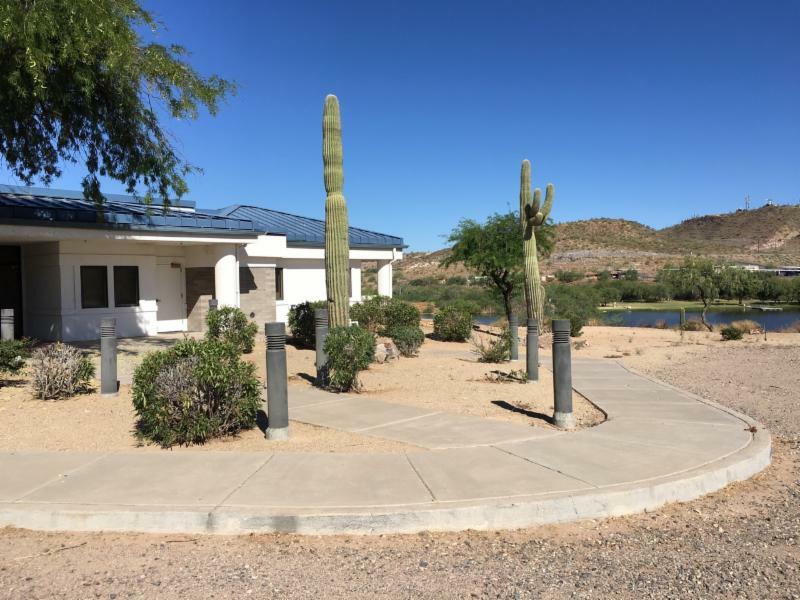 Hank Raymond Lodge at Lake Pleasant is a private facility on the lower lake. It is dry camping with a twist. The lodge is like a two master bedroom house with a large meeting room. Showers and bathroom facilities are available 24/7. There are two 30 Amp and/or two 50 Amp service, plus lots of 110 outlets available. There is no limit on the number of rigs, only access to electric. Fill water is available. No dump station. The Gordens won't be making it after all, so we won't have their pontoon boat for cruising on the lake, but Bob Coleman could bring their boat for fishing if anyone is interested. You would need a license and he could take two out at a time. Please let Mary and Bob Coleman know. Fishing on the lower lake does not require a license. So Mary can plan the food accordingly. Monterey Bay is the hub of many activities and fun places to visit! 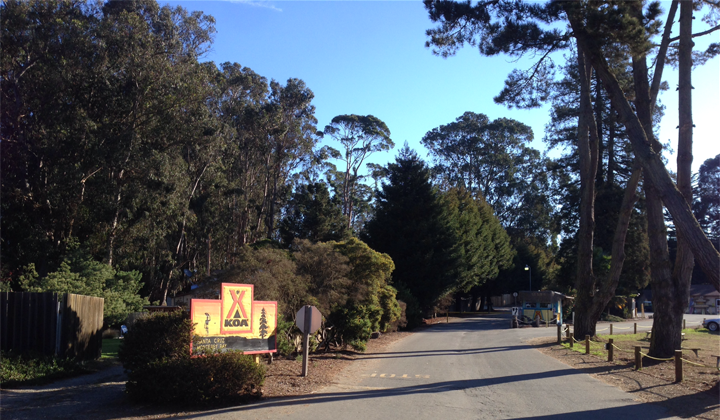 The Santa Cruz KOA is based in the center, making it the perfect base camp for our 2017 Annual Rally! This is our annual meeting, where we will vote for open board positions, review finances, and discuss upcoming rallies and other club business. We need 15 rigs for a quorum. Please attend and support your club. Wednesday: Meet & Greet around 5:00pm at Sand Shack Hall - wine and deli spread provided. Sign up for Thursday short trip options. Thursday: During the day we will have a 15-passenger van to shuttle groups to and from a local winery, Capitola Village, the beach, or whatever we decided on Wednesday night. Potluck at 5:30pm at the Sand Shack Hall - bring your own plates, utensils and drinks plus a dish to share. Friday: Meet at 9:30am at the hosts' site to board vans for a day trip to Monterey Bay Cannery Row. Lunch on your own. 6:00pm Pizza and wine provided. Saturday: Book exchange at 10:00am in the Sand Shack Hall. Free Day. Catered Dinner at 6:00pm in the Sand Shack Hall followed by Business Meeting and Elections. Sunday: Departure by 11:00am - have a safe trip home!! Bob & Debbie Shetland, Jane & Jerry Earley, Dave & Patsy Shehane, Bob & Vera Raudman, Monte & Helena Gorden, Pat & Terri Runyon, Bert & Marta Wall, Kathy Bailey & Jan Olmsted, Margie Froess, Trish McCrum, Rich & Judy Scollay, and Jean-Ives & Thu-Lan Delestrez. Contact Bob or Debbie to reserve your spot now, and be sure to get your money in by October 7th. If you're up for taking a 32-mile trip south, this is worth a visit. 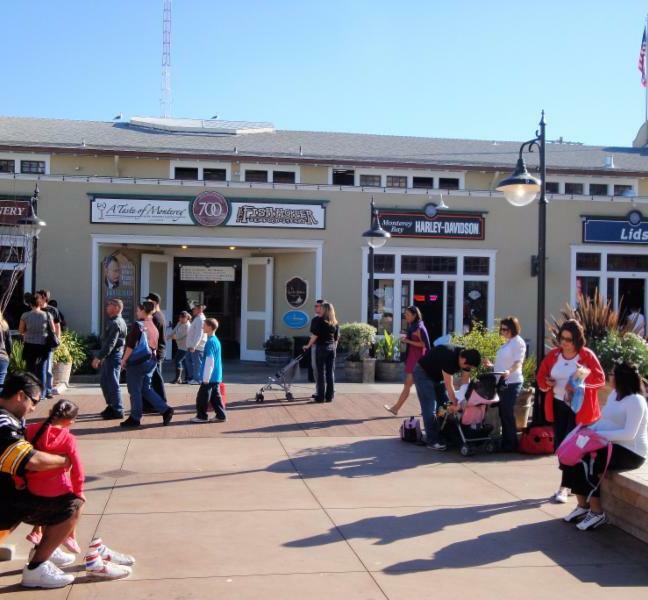 Once the heart of Monterey's canning industry, Cannery Row is now a bustling shopping area. There are more than 150 stores located along the six-block stretch of Cannery Row between Reeside and David Avenue. Fishermans Wharf is lined with seafood restaurants, fish markets, art galleries, specialty shops, candy stores, and a theater, as well as fishing, diving, sight-seeing and whale-watching charter and tour companies. 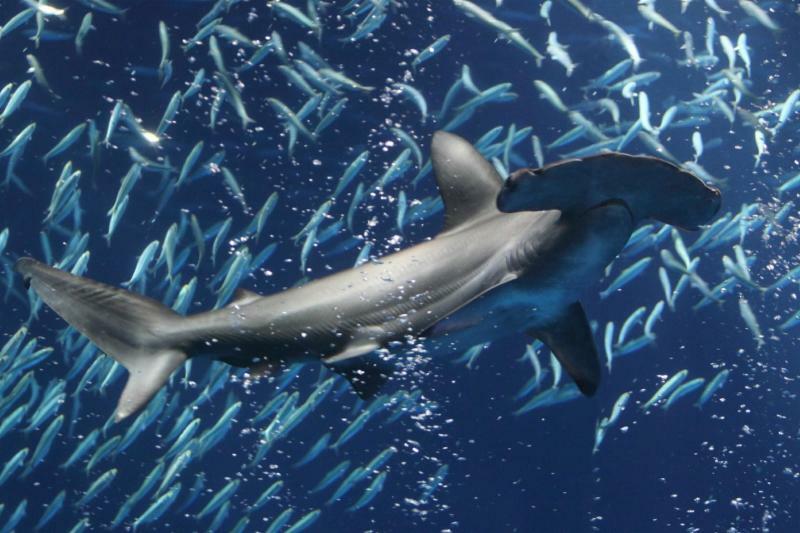 One of the featured attractions on Cannery Row is the Monterey Bay Aquarium. It has one of the best designs going with a unique two-story tank in which swim sunfish, sharks, and the occasional diver. Sand dabs are displayed on shelf-like tanks, a school of sardines swim in an endless circle in a cylindrical tank, and jellyfish look like something from another planet. 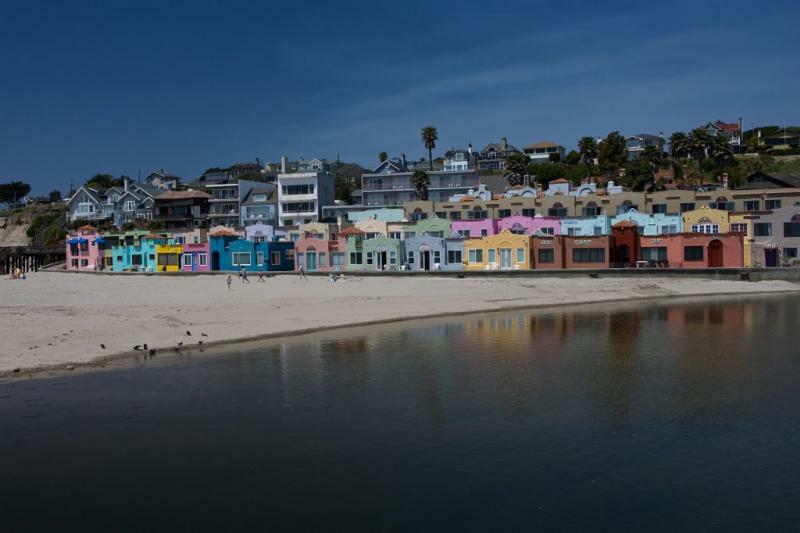 Just 9 miles away, Capitola Village is dotted with unique boutiques and gift shops as well as dozens of intimate dining hideaways and ocean view restaurants. 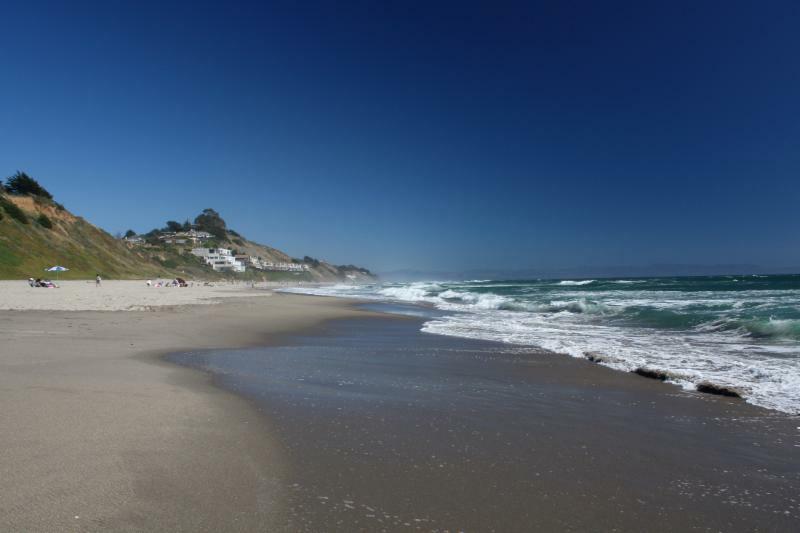 The KOA is located just under 1 mile from Manresa State Beach. Miles of sand, park lands and bike paths extend the length of Santa Cruz County. Watch the fishing boats bring in the daily catch and enjoy fresh crab and San Francisco Sourdough. Enjoy some BBQ'd oysters, a local's favorite! Waterfront restaurants and souvenir shopping are available up and down the coast. 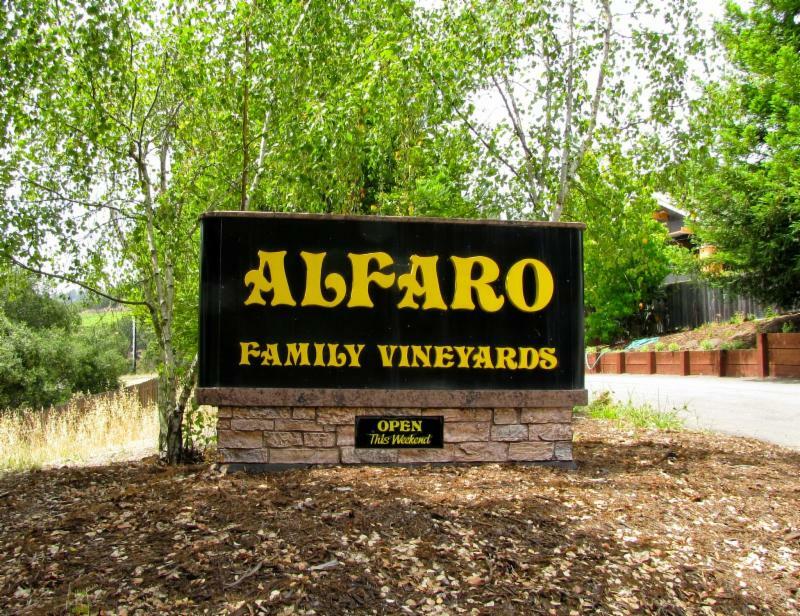 Lots of local wineries to visit, including Alfaro Family Vineyards & Winery, which was voted "Best Local Winery" four years by Good Times Magazine readers' poll. Open Saturdays from 12:00 to 5:00 pm all year. These plaques are durable engraved plastic, so they will not fade or wear out, and come with a chain to hang on your Chinook. 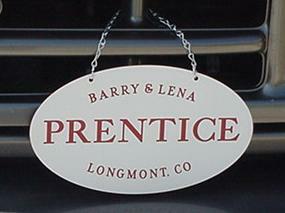 Club members proudly display them at rallies to identify their coaches. To order send your check for $35 directly to Barbara Jensen, 1255 S. Sandy Hill Drive, West Covina, CA 91791. Include the names as you would like them displayed on the plaque, including your city, state. 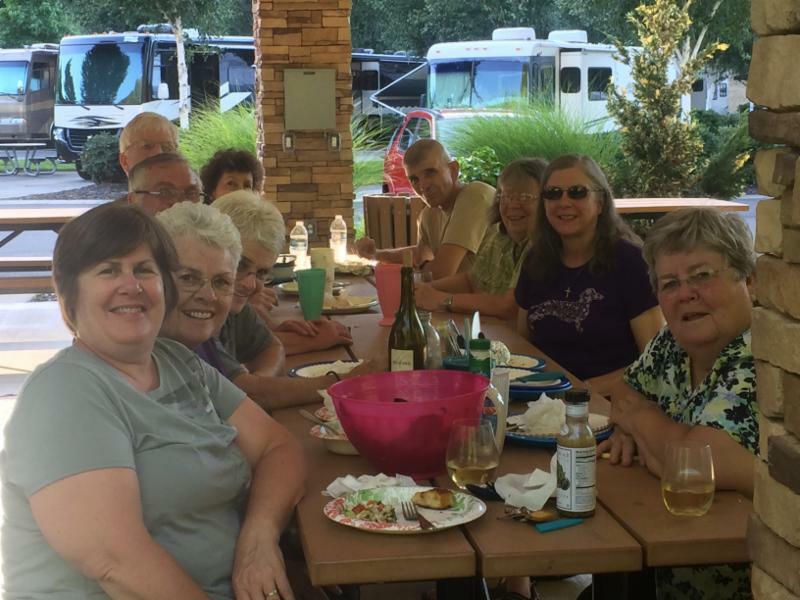 PURPOSE: This Club (Chinook RV Club) exists to promote social, recreational & informational exchange activities that provide for the enjoyment and pleasurable use of all its members. Our club functions primarily in the western and central US, although it is open to qualified members from the Eastern club (Chinook Camping Club). DUES : Our dues are $35.00/year. Our fiscal and membership year is October 1 through September 30. Prompt payment not only helps Treasurer in budgeting expenses, but also helps the V.P. Membership to produce our Membership Directory. Please advise V.P. Membership of any changes in e-mail and mailing addresses.